The Nordhavn MS56 is a unique offering in yacht design. It takes inherent strengths of sailboat and displacement powerboat designs and combines both to create a truly formidable vessel. “Deo Juvante”, MS56 hull #09, is the youngest Motorsailer built and comes to the marketplace after proving herself by taking her current owner solo across the Atlantic last year. 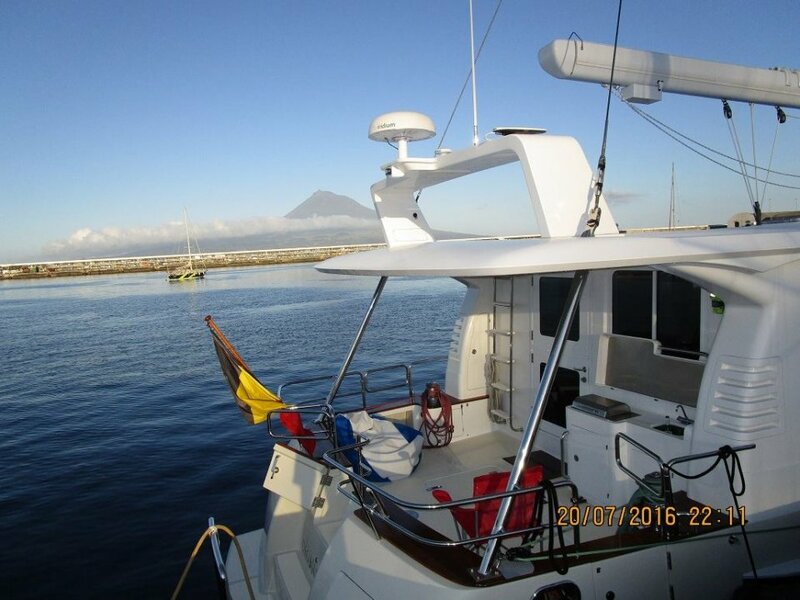 She comes with the very latest B&G 5000 electronics and is equipped for shorthanded cruising, OR, for happy, safe and comfortable family cruising. There are no limits to where she can adventure. 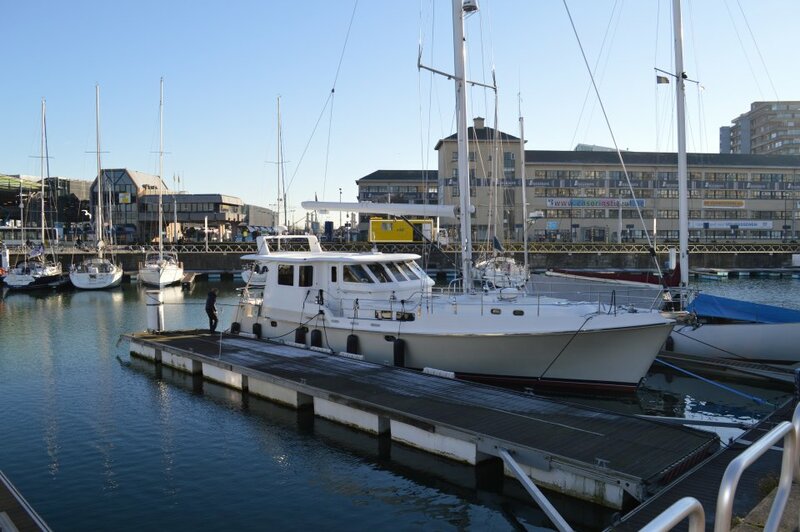 She was constructed in 2010 and served mainly as a “boat show” model for PAE until 2016 when her current owner bought her. She is available for sale immediately and is European VAT paid. She is constructed to meet CE standards (Cat A) and has 220V 50hz AC systems aboard. 1 x 24 volt 175 amp Leese Neville large case alternator to charge house batteries. 1 x 24 volt 40 amp small case alternator to charge starting batteries. Engine instrument panel: deluxe with instrumentation for oil pressure, water temperature, voltage, revolutions, hour meter, with alarms at wheel house and panel in cockpit. Control cables to be #NW A5805, Glendinning Cable Co.
Four blade left hand CPP, 91cm (36″) dia. Stainless shaft 7.5cm (2.95″) dia. Bearings: rubber cutlass type at aft and forward ends or stern tube. Stuffing box to be cooled with diverted raw water from engine. Intermediate pillow block bearing between coupling and stuffing box. Engine room finish: painted white and insulated with Technitron or equivalent fire proof foiled and leaded foam 5.08cm (2″) thick. Water tank laid up with FDA approved gel coat. Grounding wire: #6 gauge green wire run to 3.2mm (1/8″) x 19mm (3/4″) copper strap that runs down both sides of hull. 2 x Marinco #6371EL-BX Stainless Steel 32A (50A) 230V 50Hz – Ships service & A/C. A group 31 Lifeline battery with 20 amp 12v charger to be installed in pilot house for any 12v needs such as communications and vital navigational equipment. There will be 12v section on the DC panel for optional 12v breakers. Stainless steel rail around foredeck 3.2cm (1-1/4″) diameter S.S. tubing ton top with vinyl coated S.S. wire in secondary position. Pulpit to be double 3.2cm (1-1/4″) diameter S.S. tubing with burgee socket. Foredeck hatches to be Lewmar #Ocean 60 x 1 and #Ocean 30 x 2. With Ocean Air screens. Port side cockpit locker to house LPG bottles and system. Starboard side cockpit locker for storage. One (1) Supply Blower for master stateroom. Dayton 230v #2C915. On/Off wall switch for blower start and stop. Horn: Kahlenberg #S-0A air horn with all necessary accessories. Including control panel and suitable compressor. 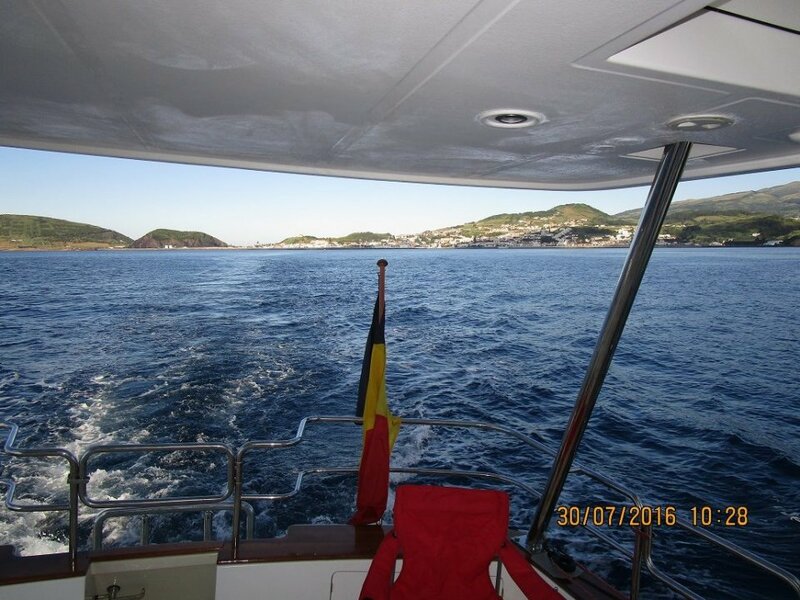 Wheel House doors: PCM aluminium – Dutch – four hinge door with window and double dogs in addition to deadbolt and lockset. Salon door: PCM aluminium – Dutch – four hinge door with window and double dogs in addition to deadbolt and lockset. Four (4) fixed windows in cabin trunk port and starboard to have 16mm (5/8″) thick tempered glass. Two front outboard wheel house windows fixed above with lower hinged vent section with double dogs and stainless steel telescoping supports. Two inboard windows fixed. Two corner windows to be curved. Stainless steel ladder with teak steps from aft cockpit deck to salon roof. Opening to have Custom FRP hatch with gas shocks and a single Aritex dog set. Side deck boarding door starboard and strbd with Aritex blind dog set. Opens outboard with hinge on forward side. Main sheet blocks to be Lewmar Synchro #29921051 x 3 single blocks attached to boom and one Lewmar #29901802 with upstand to be mounted on wheel house roof. Mast and boom to be Forespar “Leisure Furl” in boom hydraulic furling system per Forespar/PAE design. 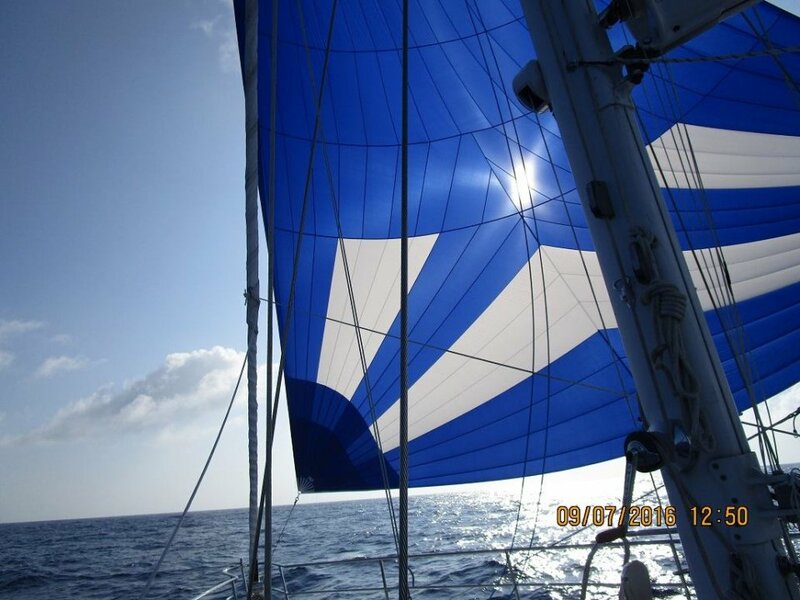 Standing and running rigging by Furling and Rigging Co.
She has a full B&G H5000 package aboard. Full details by request.